A former employee of Cambridge Analytica turned whistleblower said on Tuesday that the company had worked extensively in India and believed it was employed by the Congress party during his evidence before a UK parliamentary committee investigating the issue of fake news. Christopher Wylie deposed before the House of Commons Digital, Culture, Media and Sport Committee amid an escalating row around alleged Facebook data breaches linked with the controversial UK-based company, which has also been linked with alleged attempts to influence elections in India. “When you look at Facebook’s biggest market, India is the top in terms of numbers of users. Obviously, that’s a country which is rife with political discord and opportunities for destabilisation,” said Labour MP Paul Farrelly, member of the parliamentary committee, during his questioning. “They (Cambridge Analytica) worked extensively in India. They have an office in India,” Wylie responded. “I believe their client was Congress, but I know that they have done all kinds of projects. I don’t remember a national project but I know regionally. India’s so big that one state can be as big as Britain. But they do have offices there, they do have staff there,” the 28-year-old added, on being probed further. He offered to provide the committee “documentation” on India, which was welcomed by Farrelly, who said India was a country that did not need any added “tensions”. During his evidence, Wylie also said that his predecessor, Dan Muresan, Head of Elections at SCL Group, had also been working in India before he died in Kenya under mysterious circumstances. He claimed to have heard stories that Muresan, a Romanian national, may have been poisoned in a hotel room while in the African country. Paul-Olivier Dehaye, co-founder of PersonalData.IO, a service that helps individuals regain control over their personal data, also giving evidence to the committee, added that he had heard reports that Muresan was being paid by an Indian billionaire who wanted Congress to lose elections. “So he was pretending to work for one party but actually paid underhand by someone else,” said Dehaye. He added that it would be for Indian and Kenyan journalists to get together to investigate the matter further. At the start of Tuesday’s session, it emerged that Facebook founder Mark Zuckerberg has declined to appear before the committee amid an ongoing row over data breaches linked to the social media company. “Facebook fully recognises the level of public and Parliamentary interest in these issues and support your belief that these issues must be addressed at the most senior levels of the company by those in an authoritative position to answer your questions,” Stimson said. “As such Mr Zuckerberg has personally asked one of his deputies to make themselves available to give evidence in person to the Committee,” she said, adding that both men likely to step in report directly to Zuckerberg and are among the longest-serving senior representatives in Facebook’s 15-year history. The DCMS, which is currently hearing oral evidence as part of its inquiry, is likely to hear from one of the Facebook executives after the Parliament’s Easter recess, which ends on April 16. “We will seek to clarify from Facebook whether he (Zuckerberg) is available to give evidence or not, because that wasn’t clear from our correspondence. If he is available to give evidence then we would be happy to do that either in person or by video link, if that would be more convenient for him,” Collins said in a statement. 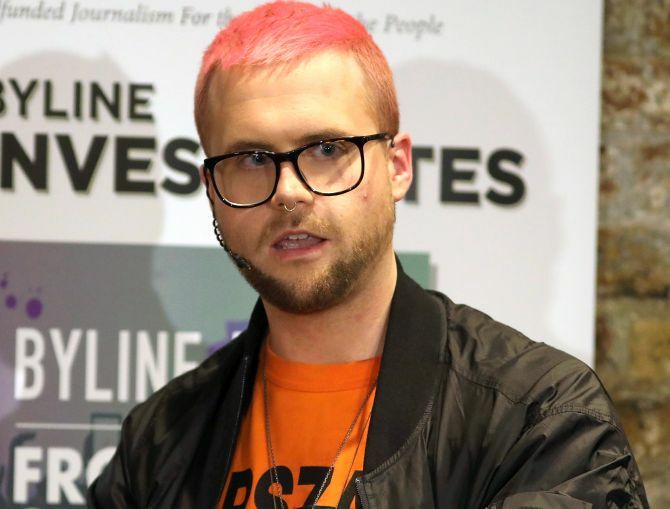 Wylie claims the data was sold to Cambridge Analytica, which then used it to psychologically profile people and deliver material in favour of Donald Trump during the 2016 US presidential elections. He also criticised Cambridge Analytica for running campaigns in “struggling democracies”, which he called “an example of what modern-day colonialism looks like”. “You have a wealthy company from a developed nation going into an economy or democracy that’s still struggling to get its feet on the ground – and taking advantage of that to profit from that,” he told MPs. Cambridge Analytica denies any of the data acquired was used as part of the services it provided to the Trump campaign. As the controversy continues to escalate, Zuckerberg took out full-page advertisements in several UK and US Sunday newspapers to apologise. “This was a breach of trust, and I am sorry,” the back-page ads said. In an undercover report last week, Cambridge Analytica executives had been caught boasting that they, along with parent company Strategic Communications Laboratories, had worked in more than 200 elections around the world, including India, Nigeria, Kenya, the Czech Republic and Argentina. The recordings were made during a series of meetings at London hotels between November 2017 and January 2018. The Congress has had no truck with Cambridge Analytica, party spokesperson Randeep Surjewala asserted on Tuesday and accused Law Minister Ravi Shankar Prasad of “lying” to divert the agenda after he cited a whistleblower’s deposition to claim that the controversial data firm had worked for the opposition party. Surjewala used the statement of an Indian citizen, who was a partner in OBI, the Indian arm of Cambridge Analytica, that the controversial firm was hired by an NRI using undisclosed funds to bring down the Congress government, and asked whether Prasad believed more in a foreign citizen than an Indian. He also dared the law minister to answer questions posed at him and whether he would lodge a case against Facebook, OBI and Cambridge Analytica for the truth to come out. “The Congress has had no truck with Cambridge Analytica ever or have we ever hired its services. But BJP needs to answer, who was this NRI business person who hired Cambridge Analytica in the run-up to 2014 polls to manufacture false surveys, to ask leading questions and to bring down the Congress government?” he asked. Surjewala said the law minister and the Modi government refuse to answer these questions and “they only want to divert the agenda”. “Lies, lies and lies is the only way forward for the Modi government,” he alleged, saying there is a ‘no confidence motion’ pending consideration, which the Modi government is desperately trying to avoid. It is preposterous to even assume that a company that was being used by an NRI businessman from undisclosed funds to bring down and spread canards against the Congress UPA government in 2014, would be used by the Congress party, he said. Surjewala said Prasad did not deny when a categorical question was asked whether or not he knows that an NRI business person was used to hatch a conspiracy against the Congress in 2014 elections and he did not deny. He alleged that privacy is being infringed on a daily basis, yet the law minister “continues to lie”. “We want to show him the mirror of truth and ask him that the same whistleblower that he continues to quote, who does not know whether or not a political party used Cambridge Analytica,” he said.